I feel like I should apologize for last night’s gripe session. Sometimes the stress of having no fixed address gets a bit much. While I can’t put my finger on exactly what’s bugging me (it’s not just the money), I will keep picking at the inner turmoil I find myself in, until I find the cause. When I look at the bigger picture, we have had a few amazing opportunities. Every now and then we approach a company who recognizes what we’re trying to do and is eager to collaborate. The Meerkat Group was one of these companies. The last time we visited Graaff Reinet, we were meeting up with the first national Instameet, over the Heritage Day long weekend in September, last year. While I was searching for accommodation, Waterval Farm Stays came up and it was by far the most cost effective option. The only reason I didn’t book it was because it is 30kms outside Graaff Reinet, 27 of those kilometres are on gravel road. Anyway, as we plotted our route to Empangeni, where we had been invited to stay, Graaff Reinet was one of the stops we selected and we were fortunate enough to be hosted at Waterval Farm Stay. 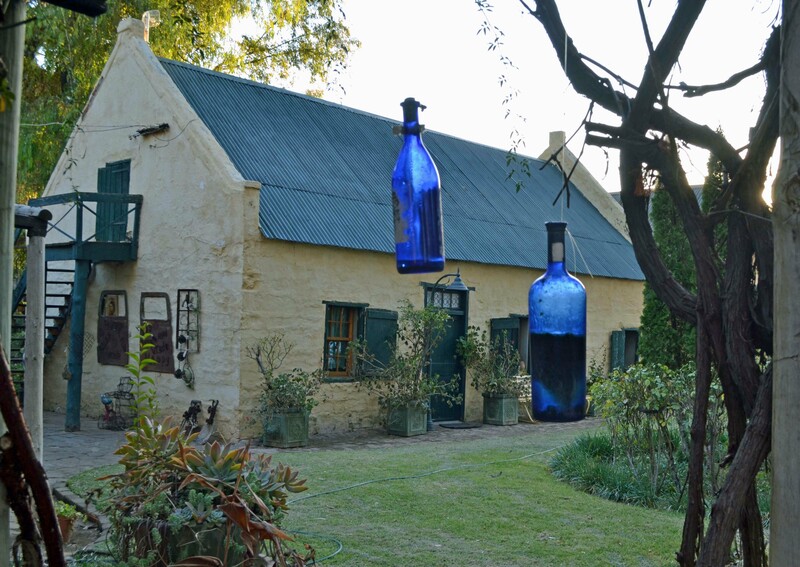 The Schoeman’s Cottage is adorable, and suprisingly cozy. It is filled with personal touches like a collection of perfume bottles in the bedroom and old commemorative tins in the kitchen. Zoë was drawn to the perfume bottles like a crow is drawn to sparkly things. She had so much fun pretending to apply perfume and “do her make up”. I have no idea where she gets that from ;). Animal lover Zac on the other hand, quickly befriended the owner’s dogs and gave the cat lots of love. Just across the way from the front garden, there was a dry river bed and he spent hours scratching away in the dust and using sticks to make a bridge for the cat. We stared at the jewel encrusted sky and fell asleep to the sound of a frog chorus. 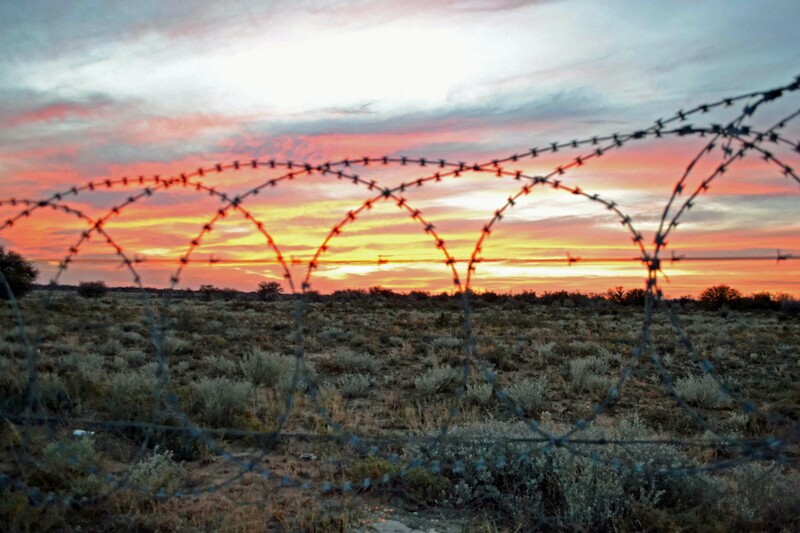 As you are in the Camdeboo National Park, you can expect to hear buck rustling in the bushes while you’re having a braai, and the owners ask that you look out for the residents meerkats as you drive in and out of the property. 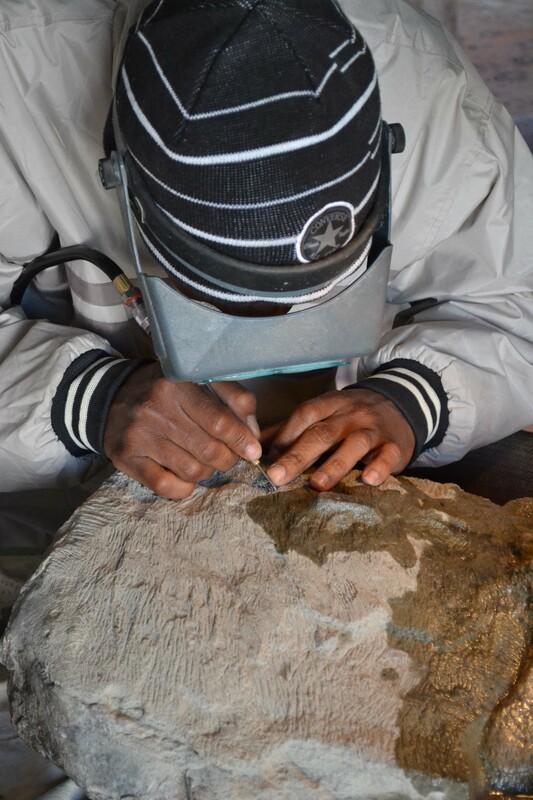 We went exploring the next day and headed to Ganora Fossil Museum in Nieu Bethesda. When I hear the word museum, I imagine a place you can visit without calling ahead to make a booking and see some fossils. I didn’t realize that the museum works on a tour basis only which needs to be booked ahead of time. So, if you’d like to see the fossils at Ganora (which is just outside the town on a gravel road), please call ahead and book a time for your tour. It will cost about R150 per adult and R75 per child. 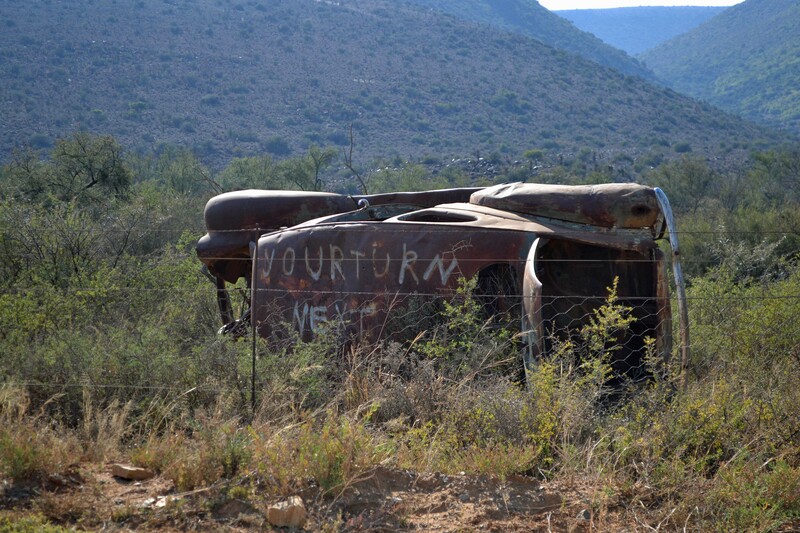 This tour will include a 45 minute talk about the fossils and then conclude with a fossil safari where you will be transported in a 4×4 to one of the fossil sites. After being disappointed, we headed into the town of Nieu Bethesda where we visited the Kitching Fossil Centre instead. The kids really enjoyed this as they not only got to walk through a museum type environment, but they got to see how a paleontologist uses a dentist drill to carve out the fossils. 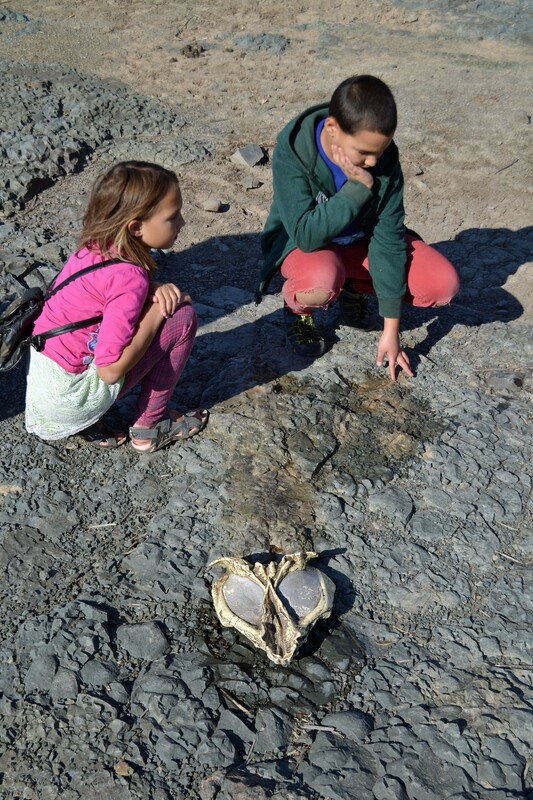 We then headed out to the dry river bed that is located along the edge of the town and the kids got a chance to see fossils in their natural environment. Homeschool #FTW.